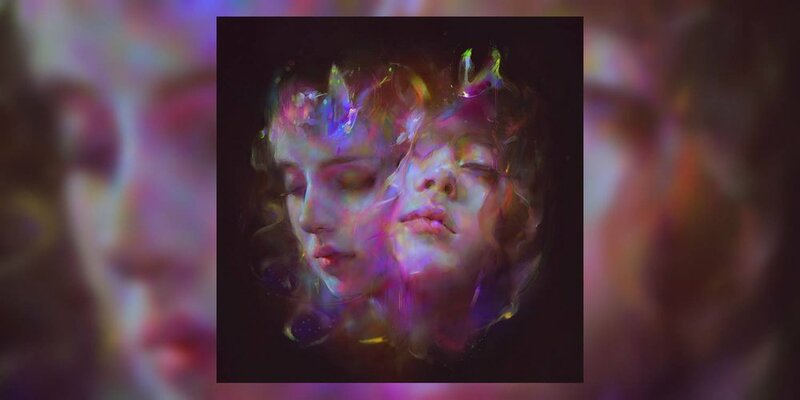 Let’s Eat Grandma are evolving. This makes sense, considering that band members Jenny Hollingworth and Rosa Walton were both just 17 when they released their first album I, Gemini in 2016. That album brought them recognition for its experimental, ethereal outsider pop. Now 19, the British duo has transformed again with I’m All Ears, their second full-length record, which is simultaneously murky and bright, retiring and confrontational. “Hot Pink,” the first single from the album, encapsulates the album’s sound. Produced by Scottish electronica guru SOPHIE and Horrors frontman Faris Badwan, the jagged, discordant song mixes hard-edged synths with fluffy pop reminiscent of Little Dragon. There’s also an echo of Lorde in the sparse, murmured intro and interludes. When Hollingworth and Walton gleefully chant the chorus, their Norwich accents are in full effect, adding another, slightly gritty layer to the song’s mix of roughness and polish. SOPHIE and Badwan also co-wrote and produced “It’s Not Just Me,” a song that manages to be both upbeat and wistful, and one that would fit perfectly in an ’80s school disco, complete with one of those flashing colored light balls. Here, Hollingworth and Walton channel Lorde again, but a Lorde who’s glued to her phone, waiting for her new crush to call. “Guess I’ll see you when the screen is vibrating,” they sing. Amidst all this painful transition, Hollingworth and Walton find their happy place in the fuzzy, foreboding synths of the waltzing “Snakes & Ladders,” in the harshness of the Pink Floyd-esque “Whitewater,” and in the echoing “Falling Into Me.” Their sweet spot is the same as it was on I, Gemini—it’s the space between hard and soft, jarring and melodic, human and machine. But creatively, they’re light years away from where they were then. Watching this band evolve is like watching one of those YouTube time-lapse videos documenting a baby’s growth into a teenager: it’s unsettling and uplifting all at the same time. And that just might be what Let’s Eat Grandma is going for.